Ultimate insider gives blow by blow details from the wedding of the century. 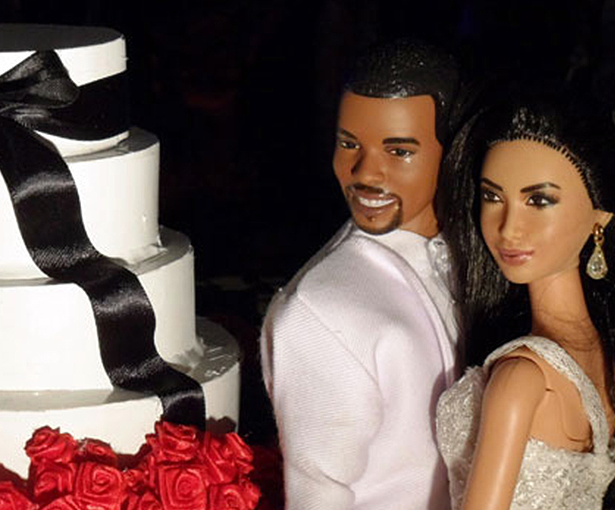 The following is a report from inside the Kimye wedding by a Page Six spy. Florence has bid arrivederci and goodbye to Kanye and Kim. Come back soon, but please, not too soon. The biggest decorative element of the wedding was a giant gold box, 49 feet (15 meters) tall, which contained the bathrooms. It was situated right next to the dinner tables at the reception with a bar in front of it. According to one Italian, “Their toilet was the star of the show.” The Italians named it theTorre di Bagni Oro(translation: the Gold Toilet Tower). Four days before the wedding, they ordered 30 life-size nudes to be made from black marble from Carrara. The marble workers worked through the night to cut enough blocks, but 10 of them fell apart, another 10 were too damaged in transit to put out, and of the remaining 10, four were missing their heads. They were put out around the dinner tables. Also two hours before the wedding, Kanye decided he didn’t need the 80 moving lights that he had ordered installed to light the dance floor and the party, declaring, “I’m in the center of this party, and I’m the only one people need to see. The rest of these people don’t need lights on them.” The lights, which had taken four days to install, were all removed, and the crane took them down the hill. Yep. I was thinking the same thing. LOL! Someone has a great imagination though. I want Jaden Smith at my wedding in a white Batman costume breaking glasses, too! And in more interesting news, poop is brown and grass is green.